Getting published in high-ranking scholarly journals isn’t easy for anyone, but because the majority of these top publications use English, scholars who speak English as an additional language may have a harder time getting published than do “native” English speakers. Contrary to common belief, though, this issue may be less related to multilingual scholars’ language proficiency levels and more to do with finding the resources needed for doing and publishing about research and connecting with people who can support the publishing process. Our research on the publishing experiences of scholars in working outside of English-speaking contexts, ongoing since 2001, demonstrates that such material and social resources are not available everywhere. So developing strategies to access this range of resources can be crucial to getting published. 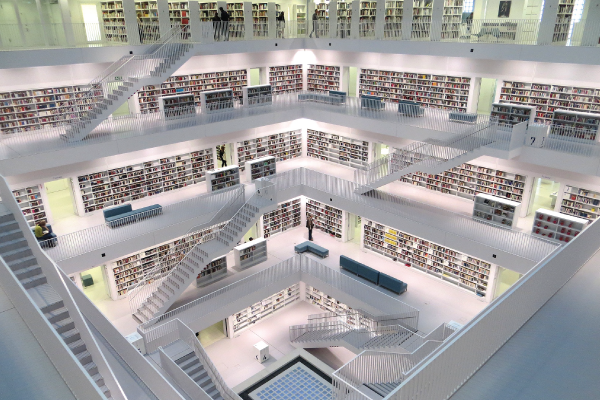 Academics in places like the United States and United Kingdom typically have access to the important material resources needed for academic publishing: First, a well-stocked university library that has the necessary journals and books or will purchase or borrow them through interlibrary loan (at no cost to scholars). Success in publishing depends foremost on knowing the ‘conversations’ of your discipline and how your research can contribute to these discussions and debates. Scholars find out about these ‘conversations’ through reading the research literature, going to conferences to hear what people are talking about and presenting their own work in progress, and by collaborating with other researchers and practitioners. This leads us to consider another crucial resource: money. The value of being provided with administrative and research assistance and getting support for conference travel and other research expenses, including internal research grants, cannot be underestimated. Despite being extremely competitive, funding agencies in well-resourced countries offers scholars at least the hope of obtaining research grants. These grants may be less available in other contexts. Finally, having time to do research and write for publication is essential—but scholars everywhere who work in institutions with heavy administrative and teaching loads face real challenges in carving out this time. Writing for academic publication is increasingly a collaborative activity, often through international partnerships. Our research shows that different types of people may work with scholars not only as co-authors but also in supporting them broadly: these may be supervisors/advisors, peers/colleagues, and people we call ‘literacy brokers’. Academic literacy brokers are scholars in one’s own or a local institution or in another city, region or country. As they coming from your discipline, they can inform you about conferences or grants, provide help with specific articles, and identify good journals for a submitting a paper or pass on information about unique opportunities to publish like special issues of journals. Language brokers help with producing the text—whether they know about a specific discipline, they work on the language used in the paper. However, as useful as language brokers might appear, our research shows that academic literacy brokers can better support publishing, because of their disciplinary knowledge and familiarity with journals, conferences, research methodologies and the ‘conversations of the discipline’. Scholars can link up with collaborators by joining or creating academic research networks: through people in your own or partner institutions; attending local, regional, national and international conferences; contacting scholars via their webpages/emails/ Facebook or Twitter accounts. In some regions, formal networks are created to support research collaboration, but it’s not clear that they produce more publications than informal networks. Network participation has helped scholars in our study to learn about and receive funding for research and conference travel, access journals they can’t get in their contexts, and co-author papers with colleagues. Getting published is not easy and the current global politics of publishing are pushing scholars to write in English regardless of their desire to do so. Clearly it’s helpful to have some proficiency in English. While translation might seem like the answer, it’s often not an option, as it’s expensive and can be difficult to find a translator with the inside disciplinary knowledge that an academic literacy broker offers. In the end, publishing success depends on knowing the ‘rules of the game’, having access to multiple resources, collaborating rather than working solo, and persisting after rejection or getting confusing or conflicting feedback from journal referees. Scholars may want to consider these ideas in order to overcome disadvantages of working in low-resourced contexts: attending conferences in your research area to enter or develop research networks, which can connect you to social resources—people like international colleagues and academic literacy brokers who may be able to share information about upcoming conferences, special issues of journals, and calls for contributions to edited books; work with you on your ideas and papers; collaborate on specific projects or connect you with other scholars around the world—and material resources like copies of journal articles, information about conference scholarships and travel grants that are useful for finding publishing success. If conferences are out of reach, the Internet can provide you with names and emails of scholars investigating similar topics, by searching Google, Google Scholar, Academia.edu, ResearchGate.net, as well as the websites main international and national associations of scholars in your field, where you may find conference programs posted that you can search for your research interest. Learning about mailing lists that these associations manage, reduced membership rates for scholars from lower income countries, are other ways to gain useful information. Finally, if you go to the homepage of the journals that are most central to your research topic, you can sign up for Table of Contents alerts that come to your email when a new issue is published, letting you know of the most recent articles published—the most recent turns in the ‘conversations’ of your discipline. Curry, M.J. & Lillis, T. (eds) (in press, 2017). Global academic publishing: Policies, perspectives, and pedagogies. Clevedon, UK: Multilingual Matters. Curry, M.J. & Lillis, T. (2013). A scholar’s guide to getting published in English: Critical choices and practical strategies. Clevedon, UK: Multilingual Matters. 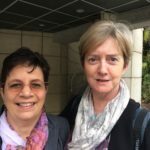 Mary Jane Curry is an associate professor in the Warner Graduate School of Education, University of Rochester, U.S. Theresa Lillis is a professor in the Faculty of Education and Language Studies, the Open University, U.K.